How are INTERPOL Red Notices being misused? 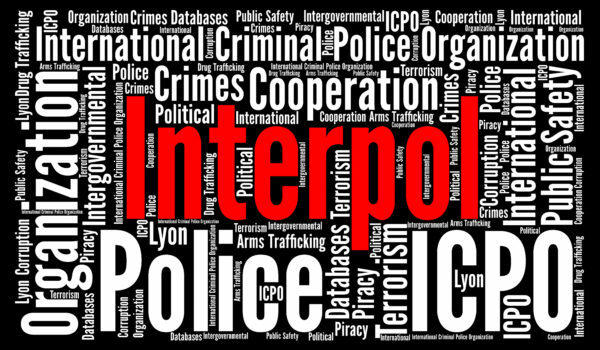 INTERPOL is the world’s largest international police organisation, with 190 members including the United States. It exists to assist the police forces of member states by facilitating the exchange of information on criminal activity that crosses national borders. With no powers to arrest, investigate or prosecute crimes, one of INTERPOL’s key functions is to provide secure communications and information-sharing channels for its members. INTERPOL’s ‘wanted person’ alert system, comprising of Red Notices and Diffusions, plays a key role in this function. In recent years, use of these alerts has increased steadily, from just over 3,000 new Red Notices published in 2008 to 10,718 in 2014. A Red Notice ‘seeks the location of a wanted person and his/her detention, arrest or restriction of movement for the purpose of extradition, surrender or similar lawful action’. Its purpose is therefore to help one country locate a wanted person in order to have them extradited from the country in which s/he is encountered. What are some of the potential misuses of INTERPOL Red Notices? Often, governments will issue a Red Notice against people on false charges or charges for which the evidence is very questionable. These notices can have long-lasting and very damaging implications for those individuals’ enjoyment of their fundamental rights. They can be subject to travel restrictions; their reputations suffer, and they may not be able to work. lack of due process in providing effective redress for abusive Red Notices once they have been issued. Prior to the publication of an alert, INTERPOL’s General Secretariat does not do enough to satisfy itself that the Red Notice or diffusion is appropriate. The CCF would often take months or years to respond to complaints, both due to inadequate financial and human resources, and because it lacks the authority to hold member states to reasonable timeframes in providing information. When it did make decisions they would contain only a few sentences of justification with little reasoning, making it impossible to determine whether or not it’s decision-making is sound. The CCF also fails to ensure equality of arms between a complainant and the country in question when considering requests, with the imbalance in access to information clearly favouring the requesting country. Finally, its decisions have no binding power – though the General Secretariat usually follows the CCF’s recommendations, it is not obliged to. What reforms have been introduced to prevent the misuse of INTERPOL Red Notices? those who are de facto refugees but have not been formally recognised or whose asylum request is pending are still protected, as well as non-refugees who are protected under the UN Convention Against Torture or other human rights instruments. What are some reforms that could prevent misuse of INTERPOL Red Notices according to the Tom Lantos Human Rights Commission? One idea for consideration would be a tiered classification system based on credible, independent indexes such as Freedom House’s annual Freedom in the World Report. That would evaluate member countries based on their respect for rule of law norms. Such classifications would provide a basis for differing levels of scrutiny and review for Red Notice requests. Another area for reform has to do with the opacity of the current system. Targets of Red Notices have no right to meet with INTERPOL to discuss Red Notice requests. Currently there are no hearings, so targets have no chance to know what the charges against them are and to confront them.